Pancakes are an indulgent staple to our weekend. 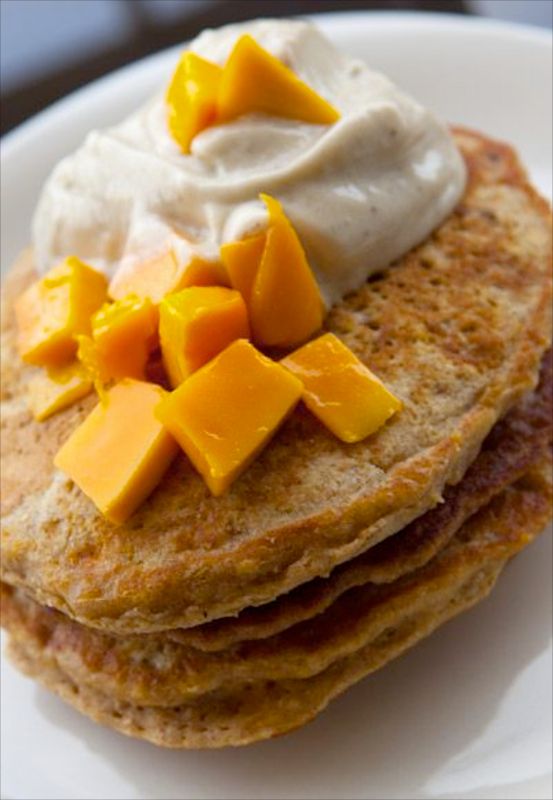 We used this recipe here as our standard pancake one, but when we were inspired to make a tropical kind filled with mangoes and shredded coconut, we knew we had stumbled upon something completely and utterly magical. It was hands down the best pancakes we've ever had. The secret? 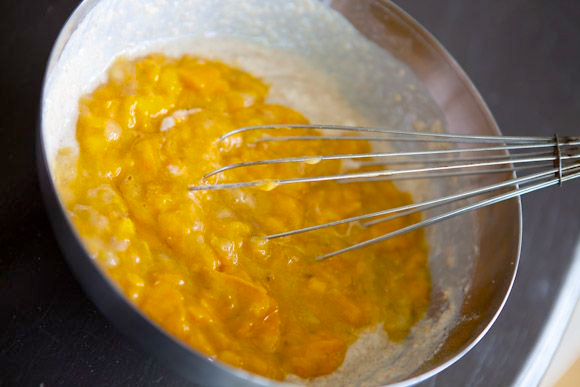 Mashing a banana and mango into the batter. The result is a ridiculously rich and fluffy pancake, by far the fluffiest pancakes we've ever made. Light and creamy, they are bursting with succulent flavour. And the best part (besides the obvious) is that they're surprisingly healthy. Made with whole wheat flour, soy milk, no eggs and only a bit of melted butter, you can certainly feel good starting off your day with such nutritious goodness. 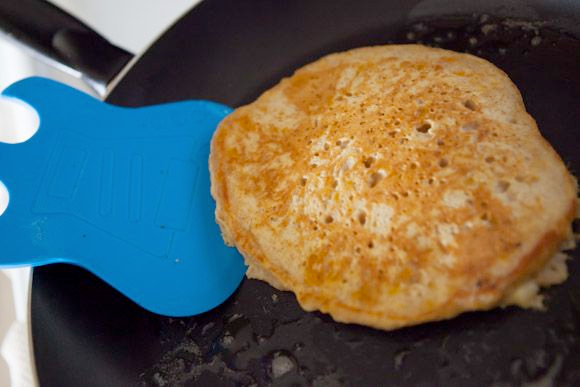 This is definitely our go-to recipe when the mood strikes for some yummy pancakes. And as the icing on top -- a generous scoop of homemade, and healthy, banana ice cream (recipe to come!) 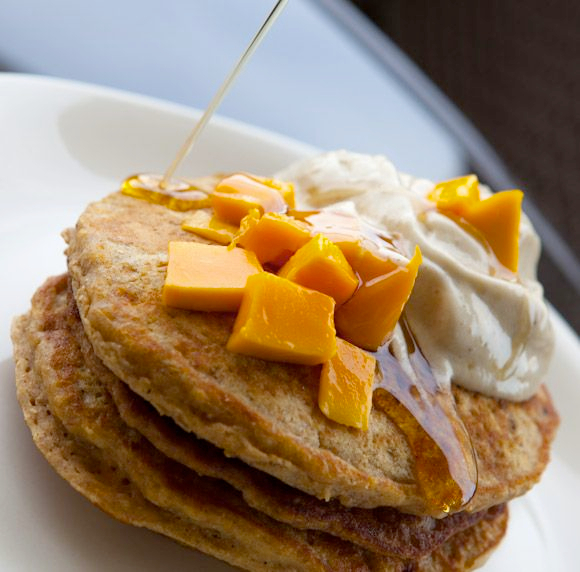 Cold ice cream + hot pancakes = a tantalizing medley of mouth-watering lusciousness. Cut 2 mangoes into small cubes; set aside half. 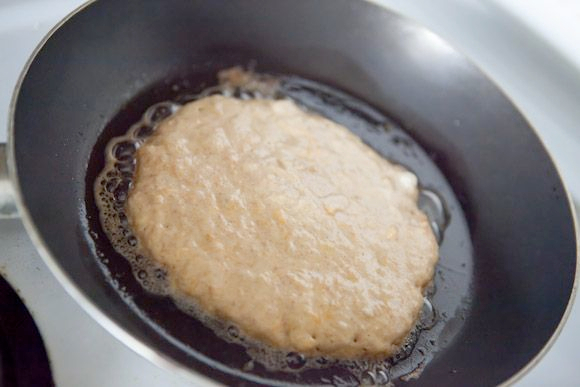 Mash the other half with 1 very ripe banana until you get a mush-like consistency. 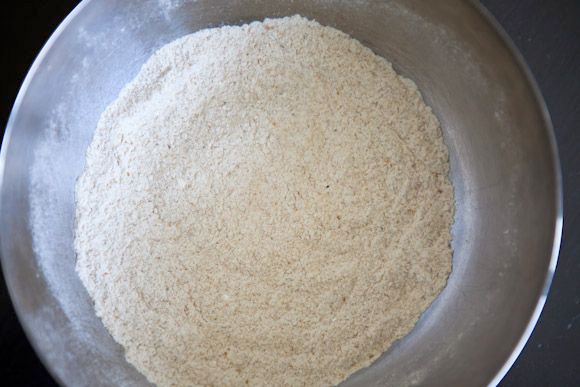 Stir the mash along with 1/4 cup shredded coconut into the flour batter (be careful to not over mix the batter as it will be less fluffy). Serve the finished pancakes with reserved mango cubes and maple syrup.